Get 2016 off to a great start with a healthy breakfast from Slims Kitchen! Our good friends at Slims Kitchen are offering all their customers and prospective customers free porridge each and every morning between the 4th and 11th January. Making the right decisions to eat healthy balanced food isn’t always easy, but Slims Kitchen are taking this decision making away from you and giving you the gift of a beautiful breakfast absolutely free. We’ve tasted the porridge many times and can vouch that it is second to none. Free porridge is available from all participating Slims Healthy Kitchen Restaurants across Belfast. Slims Healthy Kitchen have 3 restaurant across the city: Lisburn Road, Victoria Square and Belmont Road. Below is one of the social media graphics we have created for this campaign. This will also be backed up with forecourt overbags at multiple locations across Belfast. We can print forecourt overbags in 48 hours, sometimes less. If you need your print in a hurry, please just ask. 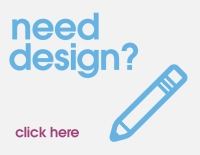 If you want to chat to us about the design or print of any of your marketing materials, please do get in touch with our team on 028 9002 2474 or email us via the contact form.